This DVD is based upon the idea that the Burning Times continue to reverberate hundreds of years later in personal wounds and cultural limitations resulting in fear to be yourself, to speak up, to be powerful and offer your unique gifts. It calls for all people to be open to Nature’s intelligence and own their intuitive knowing, in order to heal self and humanity. Many women and men have a Burned Woman inside. The fear released during the 300 years of the Inquisition when millions of people were killed for being a healer, intuitive, mystic or teacher is still present today within personal and collective memory. Burned Woman’s story calls us to make a conscious choice to release the old patterns of hatred and fear and to build a new life so we may heal ourselves, humanity and the earth. We are invited to move beyond our collective fears and limitations, and transform our personal and collective anguish into a true healing. A door will be opened for forgiveness and release of shame, healing your memory as you reclaim your power to be your authentic self and connect to the subtle realms having a true alliance with the Earth. 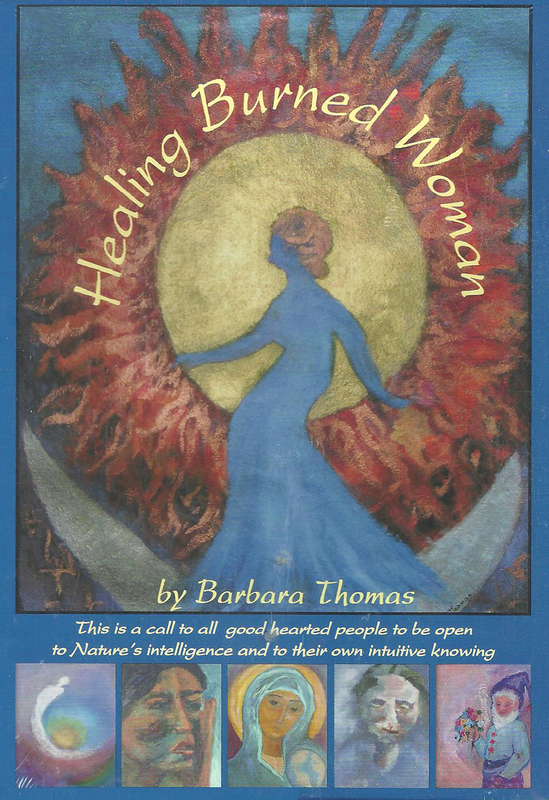 The DVD Four chapters: Burned Woman’s Story, Barbara’s Story, Nature’s Story and Healing & Awareness Circle. Barbara Thomas is an elder, an artist in Life, Color and Words. She is guided by a team of Angels in charge of healing the Feminine in Women and Intuition in Men. Her soul path and spiritual practice is to interact with the subtle realms of nature.